There are no reviews available for this tour as yet but see below for some feedback from our happy customers about their Tour Ireland Experience. would not have been the same without your expertise! On our flight home to Denver from Ireland, we had a layover in Chicago, Joe and I sat in a bar, pulled out our cell phones for the first time in almost two weeks, logged in to the airport wi-fi and immediately started a web search for our next trip to Ireland. We didn't want to leave and can't wait to go back! The manor homes were beautiful (we could have spent the entire time at Cahernane House in Killarney and been completely happy), the people we met along the way were great - it was like a family reunion every night at a pub, just with people we had never met before. There was too much to do and not enough time. Thank you for all of your assistance leading up to the trip - it would not have been the same without your expertise! We can't thank you enough and will surely be back soon! Thank you so much - we had a great time on the 11 day Ancient Ireland Tour. You were very helpful and put together an awesome trip for us. We absolutely loved Dublin and had a great time sightseeing and shopping there. But Kilkenny was probably our favourite city (especially because our ancestors are from there!). We met so many nice people along the way and the hotels and B&Bs that you picked out for us were lovely. Many thanks to you for a wonderful trip to Ireland. It is a trip we will never forget. The self-drive tour was perfect for us. We really got to use our five senses to experience Ireland. We were free to get up when we wanted, eat when we wanted and stop when we wanted. It was perfect. We had three main goals while planning this trip: see as many of the sights as possible, visit as many small pubs as possible, and eat as much seafood as possible. We did not fully accomplish these goals. I guess we must return! We did see many of the main attractions and were amazed with the age of the castles, the beauty of the cathedrals, and the overall beauty of the country. We did get to see and drink in many small pubs. People were always so very friendly and helpful. And we did eat seafood as much as possible. Friends told us the food was bland and boring in Ireland. Totally untrue. We were not disappointed with any of our meals during our two weeks. Our meals were delicious. The fresh seafood was over the top great. The seafood chowder was the best we ever tasted. Our first experience with the chowder was in Waterford. It was pouring down rain so we stopped in a very small cafe-diner. We ordered the seafood chowder and it was terrific. So creamy and so full of fresh seafood. Our hotels were very good and the weather for the two weeks was unexpectedly sunny. We had only two half days of rain and unexpected quick showers on a few days. It rained in Waterford and at Giant's Causeway. Actually, it was pouring down rain at the Giant's Causeway. While I was taking pictures, my wife got back on the bus. Not paying attention, I continued to take pictures while she and the bus returned to the Visitor Center. She waved to me while I was slipping off a rock and filling my shoe with water. The weather for the trip was chilly, but the sun was out the vast majority of the time. Thanks again for all you did to make this a great trip and experience. Thanks for helping us have a great visit! Our tour worked out really well, we were very pleased with all the B&B's, particularly the B&Bs in Salt Hill and Blarney. We thoroughly enjoyed our visits to Inishmore, Cliffs of Moher, the Burren, as well as lots of other sites. 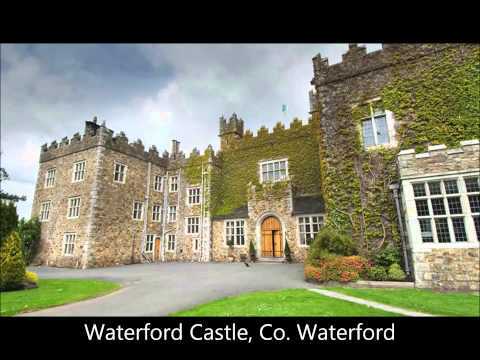 I will definitely recommend tourireland.com to anyone interested. Thanks again Janice..Ireland is truly amazing and Heather and I had the most wonderful time enjoying the scenery, pubs, and of course Dublin. Each recommendation you made was definitely worth it and we appreciate your attention to our needs!